OKLAHOMA CITY – School choice is back on the legislative agenda this year in a big way, as lawmakers weigh proposals to create a form of vouchers and expand tax credits for private-school scholarships. To provide insights, Oklahoma Watch will host a public forum on Tuesday, Feb. 28, featuring Jonathan Small, president of the Oklahoma Council of Public Affairs (OCPA), and Alicia Priest, president of the Oklahoma Education Association (OEA). The forum will be from 6 p.m. to 7 p.m. at Kamp’s 1910 Café, located at 10 N.E. 10th Street in Oklahoma City. Oklahoma Watch Executive Editor David Fritze will moderate the discussion. Those interested in attending are encouraged to register online and come with questions. At least six school-choice bills were filed for the legislative session and will be taken up in a year when funding for education and other core services is crimped by an estimated $870 million budget shortfall. Most of the bills would enable creation of education savings accounts, allowing families to use state money to pay for private school tuition, textbooks, tutoring, online courses or extracurricular activities. One bill, however, would prevent the money from being spent on private schools. An additional bill would expand a program providing state income-tax credits for donations to pay for private-school scholarships. Critics of education savings accounts and other forms of school choice say such programs tend to benefit the affluent most of all and threaten to undermine public education by siphoning money from district and charter schools. Proponents argue that families deserve to have funds channeled away from the state to support a wide range of choices for their children’s education, which increases competition and quality. 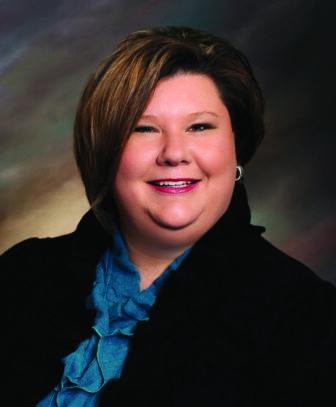 Alicia Priest took office as OEA president in July 2015, having served as OEA vice president from 2011 to 2015. Priest taught English Language Learners and Spanish in Yukon for 16 years and was named Parkland Elementary Teacher of the Year. A former member of OEA’s board of directors, Priest most recently represented Oklahoma on the National Education Association board of directors. She was appointed by Gov. Mary Fallin to serve on the state Teacher and Leader Effectiveness Committee, and is a former chair of the State Textbook Committee. On the local level, Priest served in various positions for the Yukon Professional Educators’ Association, including president and negotiations chair. She received a bachelor’s in Spanish from Oklahoma City University and a master’s in secondary school administration from the University of Central Oklahoma. She is working on a doctorate in Education Leadership-Superintendency from Oklahoma State University. Jonathan Small became OCPA president in 2016, having joined the organization in December 2010 and served as the fiscal policy director and executive vice president. Before 2010, Small was a budget analyst for the Oklahoma Office of State Finance, a fiscal policy analyst and research analyst for the Oklahoma House of Representatives, and director of government affairs for the Oklahoma Insurance Department. Small co-authored “Economics 101” with Dr. Arthur Laffer and Dr. Wayne Winegarden. His policy work has been referenced by The Oklahoman, the Tulsa World, National Review, the Los Angeles Times, The Hill, The Wall Street Journal and The Huffington Post. His “Free Market Friday” column is published weekly in the Journal Record and is syndicated in 27 markets. A recipient of the American Legislative Exchange Council’s Private Sector Member of the Year award, Small is nationally recognized for his work to promote free markets, limited government and innovative public policy reforms. 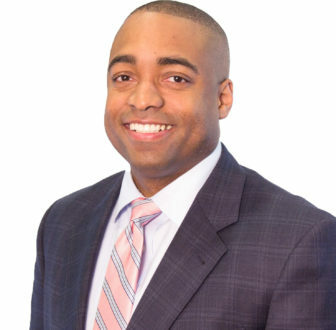 Jonathan holds a bachelor’s in accounting from the University of Central Oklahoma and is a certified public accountant. Oklahoma Watch is a nonprofit, nonpartisan media organization that produces in-depth and investigative journalism on significant public-policy issues facing the state. For more information and to make a donation, visit www.oklahomawatch.org. The 2016-2017 season of Oklahoma Watch-Out forums is made possible by sponsorship support from BancFirst.